Sources of inspiration, information and support. In January 2018 HBR devoted seven articles to the topic of sexual harassment in the workplace. From getting men to be allies and sample employee surveys to managing high risk employees and adjusting to the new risk landscape, there are many thought provoking articles available online here. An open source directory that gathers VC commitments to foster a diverse, inclusive and harassment-free workplace. ​At this site you can find anti-harassment/discrimination policies from some of Silicon Valley's most prominent investors, along with short statements on their efforts on this front. ​Catalyst is a global nonprofit working with some of the world’s most powerful CEOs and leading companies to build workplaces that work for women. Their section on sexual harassment in the workplace features resources, articles and other helpful support on prevention. Cornerstone Capital is a financial services firm with almost $1 billion in assets under management and it is a research organization that promotes companies that take environmental, social and governance issues into consideration. In February 2018, Cornerstone published this research stating "Companies that foster a work atmosphere that allows sexual harassment and violence and that are not transparent about how such matters are handled are putting themselves at financial risk of shareholders backlash". BlackRock is the 10th-largest hedge fund by assets under management ($28.6 billions of USD). BlackRock has an industry leading global investment stewardship program that promotes corporate governance best practices at the companies in which they invest. This program is part of the investment function at BlackRock, fulfilling their fiduciary duty to protect and enhance the value of our clients’ assets. In January of 2018 they put out the word that human capital management (and solid practices around preventing sexual harassment) is an investment issue. Kapor Capital believes in the power of transformative ideas and diverse teams. They are an Oakland-based investment fund that understands that startup companies have the ability to transform entire industries and to address urgent social needs as they do so. 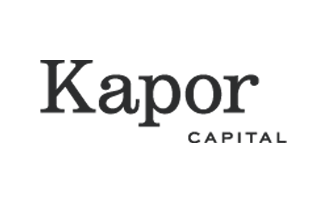 The Kapor Capital Founders’ Commitment is an industry leading concept designed to help portfolio companies make collective progress in the areas of diversity and inclusion. More here.